After a builder wins the job, they plan with their team what parts of the job they will do [responsibility matrix], what information is needed and by when [master information delivery plan], as well as how information needs to be set out [standards, methods, and procedures]; writing all of this into a single agreed plan for everyone to follow [post contract-award BIM execution plan]. To make sure everyone can follow the plan, the builders check their team’s skills [supply chain assessments] before starting the job. In BIM world, we can certainly get carried away with terminology and abbreviations and acronyms. But this is a good reminder that much of our work can actually be described in easy-to-understand language. Check out the full post by author Dan Rossiter at this link. Yes, BIM Is Starting To Make Sense! 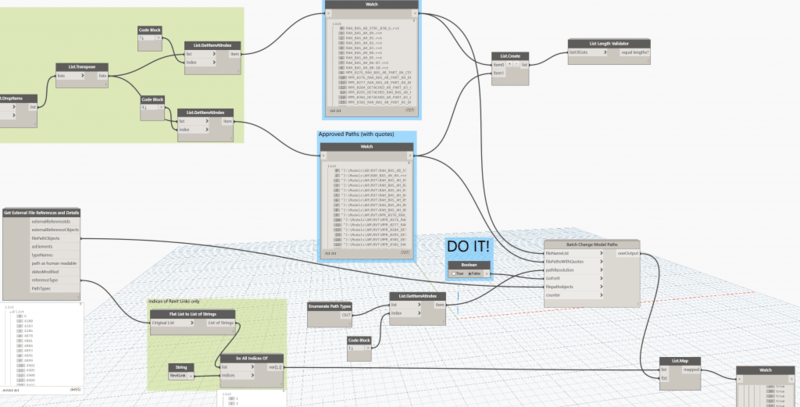 The Revit API is actually something pretty special. 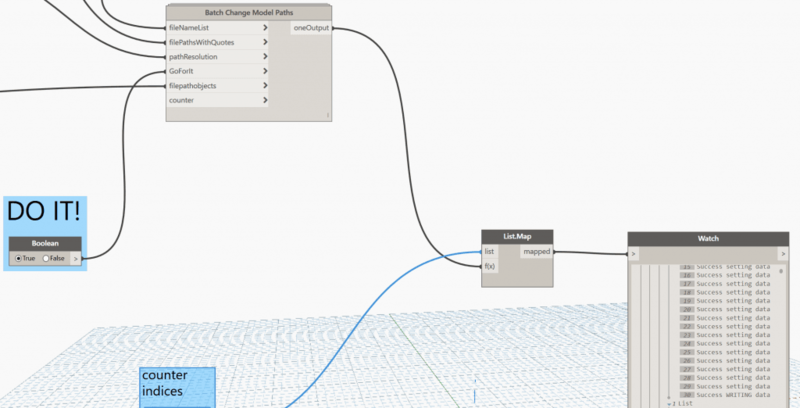 People will go on and on about how Revit needs this feature or that feature, but the fact is that you can build almost any feature you like with the API. Recently, I have been running quite a few batch operations from the scope of a federated Revit model: so I will have one RVT file, with hundreds of Revit links, and I will process them from that main federated model. On one recent project, we had to deliver to a Client a linked dataset, with Revit link file paths resolving correctly. As you know, people work in many different IT environments, and the pathing of Revit links may vary widely. You see, I was thinking I would have to set up a batch method to open this files, change the file paths, and close them. But the TransmissionData class is basically what is implemented in eTransmit for Revit – it allows you to ‘lightly touch’ the Revit file and simply change the Revit link paths, and also set a switch saying ‘this file has been transmitted’. This puts the file in an appropriate state for re-opening in the new path environment. Pretty cool huh? As usual, please use with care. And it is probably worth backing up your files before running something like this. 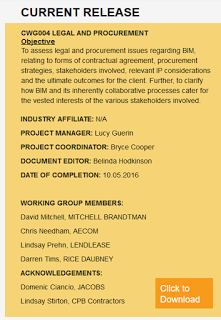 The paper aims to provide market insight into organisational strategic issues and the role and functions of project managers in BIM implementation. The paper also looks to the future, at how roles might evolve as BIM continues to develop. What does the above statement mean? Firstly, that if you are going to try and standardise something you need to make it simple and practical. 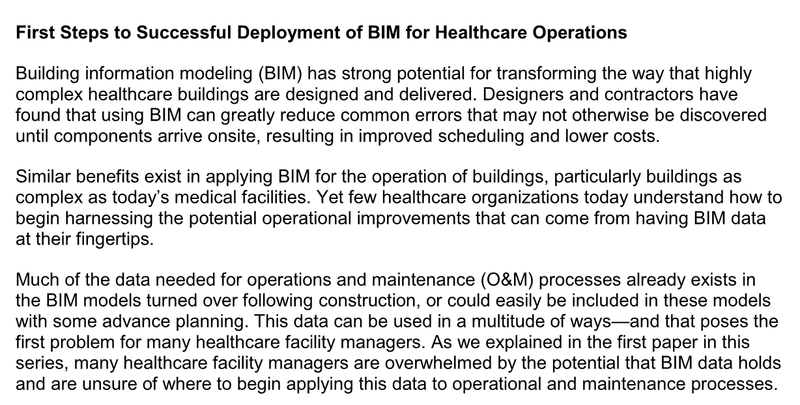 Secondly, the content of a BIM dataset is best described by its current purpose. It won’t always be a Design model. Once it starts to become a Construction Model, the Design Model needs to die or be used only for crude reference. And once it becomes an Operations Model, it may need some extra data added, but it will likely need a lot of Design and Construction junk removed. Don’t try and make a model that lasts forever, for every purpose, and then attempt to standardise that as a point-in-time deliverable with some ridiculous metrics. Make the BIM standards simple, practical, and closely tied to the current purpose of the model. BIM documents and files are often linked into each other, such as consultant links in a contractor Revit model, or plain NWCs appended to a master NWF Federated coordination file. 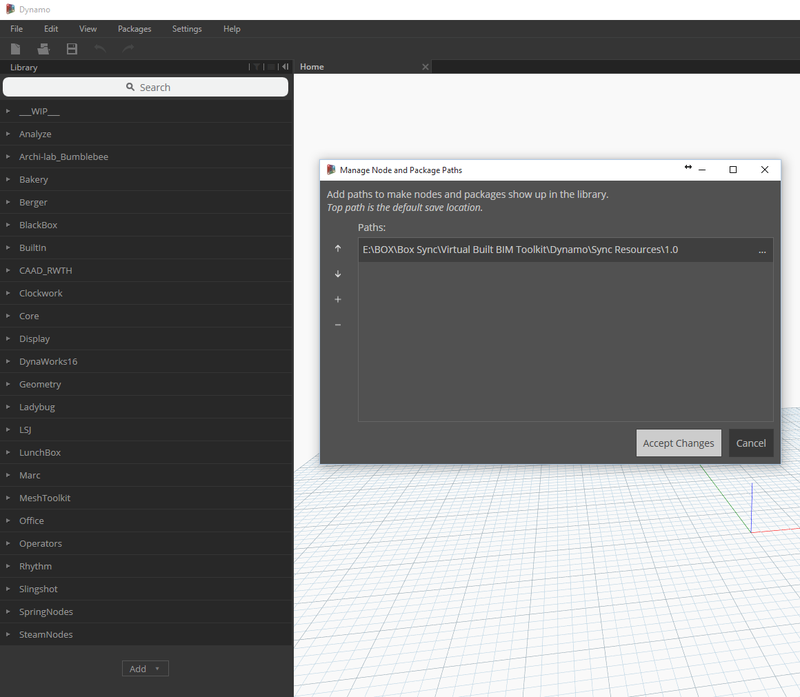 In each case, the BIM application will try to find and open the linked files when opening the host model. However, this only works if the pathing is predictable (ie. ‘the file is on C drive in folder MODELS’), and the typical situation is that you are running a corporate LAN that gives secure access to one or more mapped network drives (J drive or H drive or L drive). The problem is that your corporate LAN isn’t typically accessible via the cloud. A number of products exist to try and solve that problem, such as Citrix ShareFile. But what about Box? It has a reliable, proven infrastructure and apps for all of your main devices. 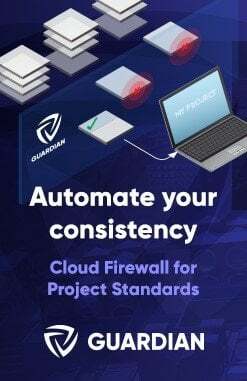 Its scalable and essentially secure. But… What about the mapped drive problem? As part of our work at Virtual Built, we come across problems and provide solutions for this kind of issue all the time. The first thing you will need is a common drive letter that can be applied to all of your computers and workstations. 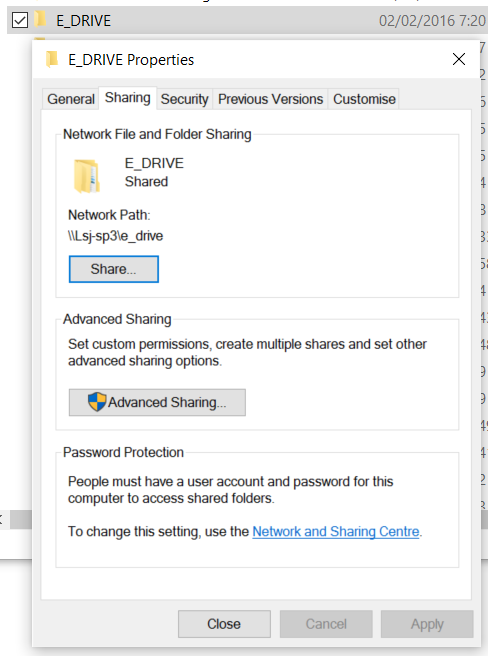 Sometimes, you may already have a secondary drive installed, perhaps with a drive letter of E. What we are going to do is point the Box Sync app at a subfolder of E drive, and then all the members of the team will use E:\BOX\Box Sync\ as the ‘root’ for all shared documents and models. 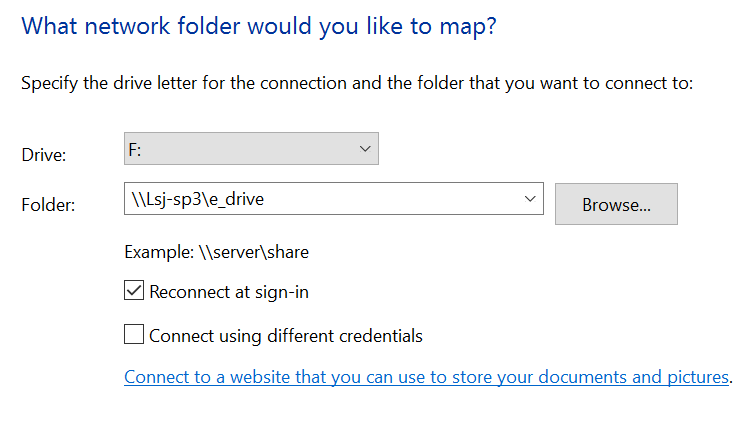 After sharing is enabled, you can ‘map’ the local folder as a drive. When mapping, use the local computer name with two backslashes, followed by the folder name. That is basically it! Now, Box Sync will sync your models and projects from the cloud. When you set up your models inside that root folder (E:\BOX\Box Sync\), then the Revit links and Navisworks NWCs will all be able to ‘resolve’ properly on each system that you set up in this way. Then, when you save changes in that location they will then be synced back up to the cloud and down to your team, all automatically. This does not give simultaneous modification access, such as for a Revit central file. If you and someone else modify the same file, Box will probably save two versions with your username appended. 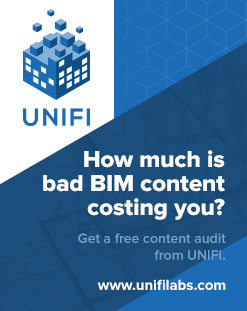 This is certainly a topic that merits discussion and investigation, as new ways of working grow out of the new BIM technologies.